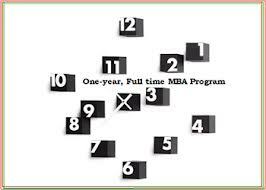 Doing a one year regular MBA is easier said than done. With the same course as the two year one, no weekend or holiday breaks for an entire year, daily submissions, assignments, exams; life gets really grilling. Here is a look into a typical day in the life of a one year MBA student from my experience. Its 7:45 when I get ready for the class and get on my bicycle to rush to the mess for breakfast. Its poori-choley again. When it’s not that, its Paav Bhaajis & dosas’. Oh God, I am definitely going to go out of campus with double the weight I had come in with. With no time to exercise and so much oil going in, my mother will surely send me to gym once I go back home. It’s 10:15 AM. The first class begins. Some of us are late to the class. Some seem to have yet again skipped their bath and walked to the class. There are marks for class participation. The fish market begins. After shouting for an hour and a half, desperately raising hands, the torture ends. Everyone rushes out for tea. That is just the beginning. It is 1:30 PM when the class is about to end. Just when the teacher is about to conclude, I have a nagging question in my mind which I need to ask. But I look around to see hungry, sleepy faces and then restrain. Sometimes, when I don’t, I can hear some frustrated sounds around. We all look up to our class representatives to ensure the class ends on time. He has a tough time handling all our requests for rescheduling submissions, exams and what not. The class post lunch is terrible. I am anyway half asleep and the boring lecture just pulls me down further. I try to write but cannot hold the pen. I try to pay attention but sleep with my eyes wide open. Sometimes, the teacher throws a chalk to wake me up. Sometimes he doesn’t bother. We have a surprise quiz in the next class. And I am glad it is surprise. Because even I would have known, I would not have been able to answer these questions. It is 6 when the classes end. We have a session for placements. This one is the most ‘awaited’ one. After all, who came here to study? Wasn’t at IIM admission all about lucrative one crore offers? Post the lively session, I come back to my room and make a cup of tea. I have two submissions for the day: one individual and one in group. It’s just so difficult to get the group together. Everyone is part of so many groups, that time management is a challenge. And then there are always some free riders in the group who feel that there are just on campus to go to gym and roam around. Evening and night is all about assignments, case studies, write-ups. My mom calls up and is in a mood of a skype call. I tell her to do it some other day as I am neck deep into assignments today. She tells me I have been doing this to her for the last couple of days. I crib about the load and she understands. She asks me to eat properly and take care of myself. I disconnect. At 12 AM, comes the night tea. The hostel is beaming with sleepy eyes. The tea is a much awaited daily event where a lot of informal ‘gupshups’ happen. When there are birthdays, it’s all the more fun. Planning for birthday ‘gifts’, the cake cutting and the ‘honor’ ceremonies : makes one feel quite at home. It is 2 AM when I cannot hold my sleep any longer. A lot of my friends are online. I wonder what they are up to. Are they doing extra studies? Forget it, let me just go to sleep now. Tomorrow is another long day.